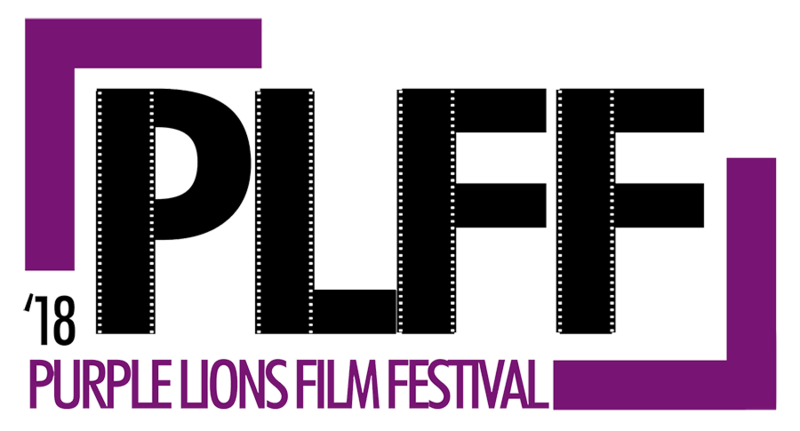 On the 9th and 10th of November 2018, Habib University’s media club – Purple Lions Productions – hosted the Purple Lions Film Festival (PLFF), Habib’s first-ever film festival. Spread over two days, several notable celebrities were in attendance. 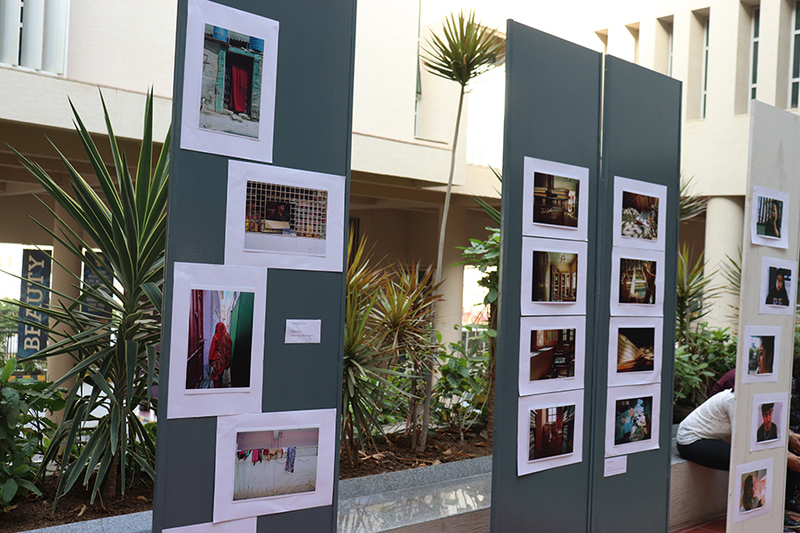 The festival did not only revolve around the screening of movies, but hosted talks, panel discussions, exhibited the work of student photographers, and showcased the audio and visual projects produced by students enrolled in New Media Art, in HU. 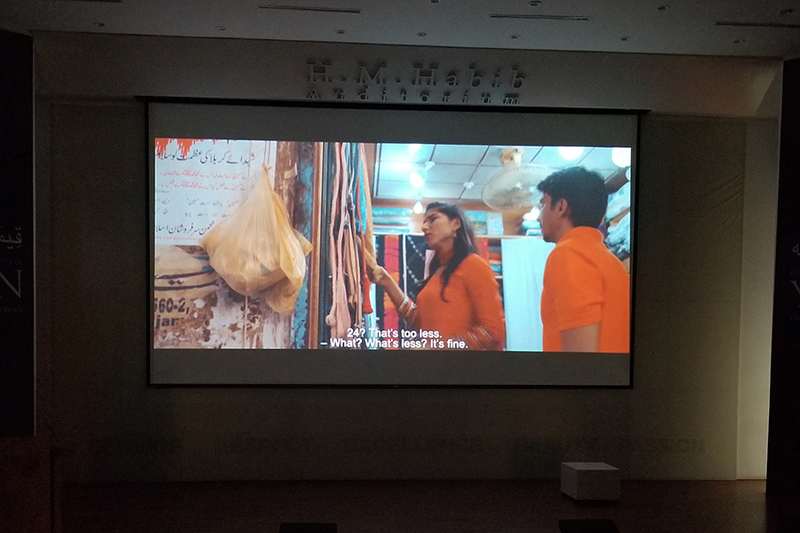 Screenings on both the days started off with sessions dedicated to student film makers from different universities in Karachi. This session was intended to promote the production of films on a student level, and to encourage other prospective creators to pursue the art of filmmaking. Short films by professionals such as Rang Raaz by Hamza Bangash, Kachrachi by Ali Mehdi and Don Aakhbar by Dostain Baloch were also screened. Aside from short films, feature length films like Taha Karim’s Vicky was also showcased. Vicky tells the story of a hotheaded young man with a troubled life. The story is about how he deals with life’s obstacles, with losing the love of his life, and a whole plethora of secrets that are better left unknown. Emmy award winner Hayaa Fatima Iqbal, who is also a professor at Habib University, showcased her new documentary – Armed with Faith, which follows the lives of the Kyber Pakhtunkhwa Bomb Disposal Unit (KPK BDU). The story engages in plotlines centered on the war against Al Qaeda, and the Taliban in Pakistan – the backdrop of the entire film being the province of Khyber Pakhtunkhwa, a province often considered as the gateway for terrorists from the neighboring country of Afghanistan. Prominent Pakistani filmmaker, Umar Riaz also screened his film titled ‘Some Lover to Some Beloved’. 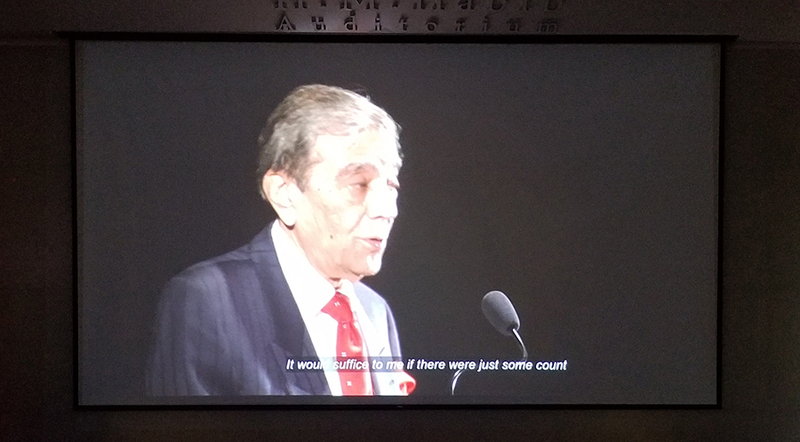 The film explores and showcases Zia Mohyuddin’s life and his readings of Faiz Ahmed Faiz’ poetry which finds new resonance and lead Zia on an introspective journey into his extraordinary past and his future. The film was concluded with a lively Q&A session with the filmmaker himself. Over the course of the two days, the makers and actors of the upcoming movie Pinky Memsaab led a panel discussion on the making of the film. 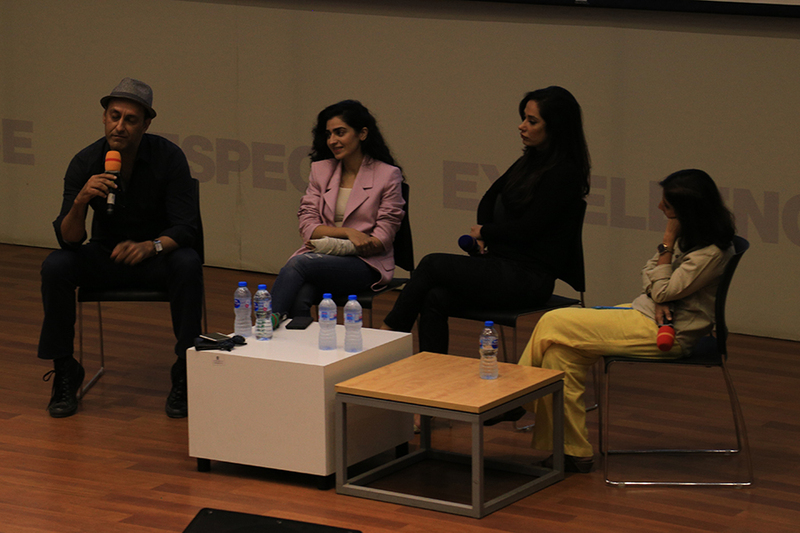 The panel consisted of Hajra Yamin, Hajra Khan, Adnan Jaffer, and Khalid Ahmed. This session was followed by another introspective panel discussion; Can Art be Separated from the Artist? 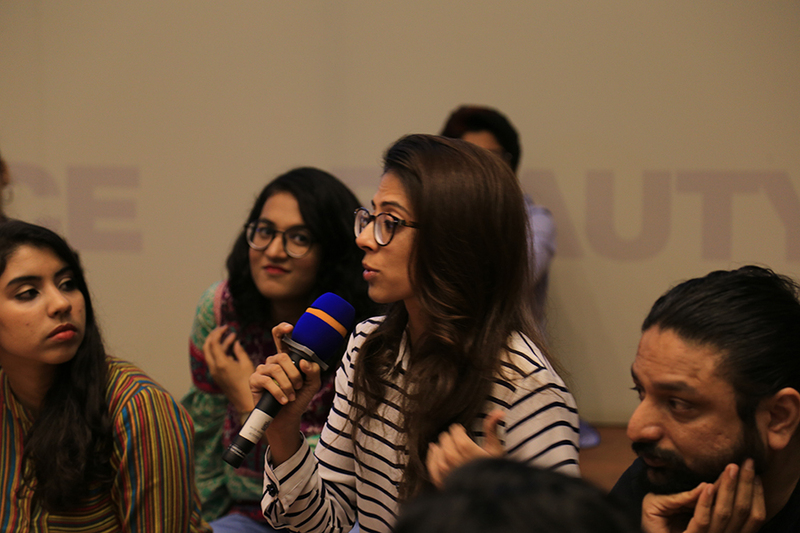 Panelists included Ahmer Naqvi, Hamna Zubair, and Mehr Jaffery. Moderated by Rahma Mian, another professor at Habib University, the panel carried out a lively and intuitive discussion, a vital conversation in light of the #MeToo movement. 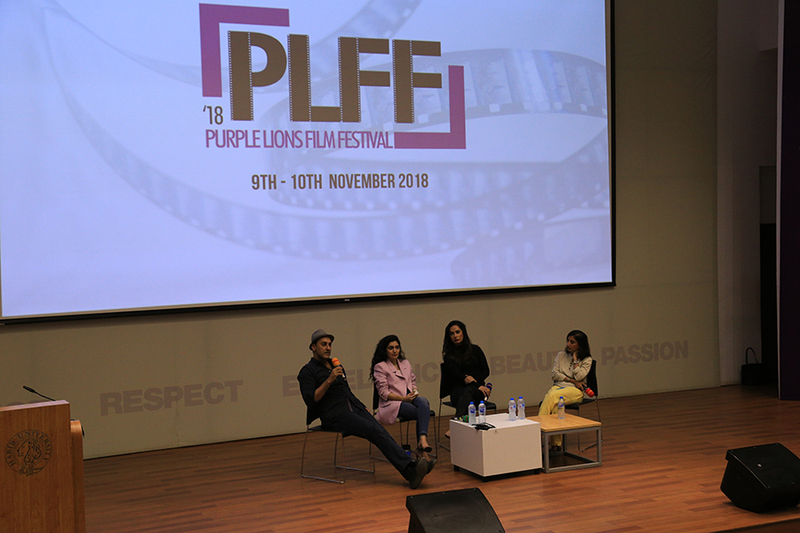 The last session of the event was the talk ‘Jugnu:From Script to Screen’, led by Jami, Ali Abbas Naqvi, Shajee, Kulsoom Aftab, and Saqib Hayat. The panel talked about the creation of the movie, its development and its production.